The Bottled In Bond act of 1897 was spearheaded by Colonel Edmund Haynes Taylor, Jr and Secretary of Treasury John Carlisle. It was signed into effect by President Grover Cleveland as one of his last enduring effects of his 2 (separate) term presidential career, retiring on March 4th 1897. After years in New Jersey, he found summer retreat in his second home in Tamworth, New Hampshire. In fact, the Tamworth Distilling and Mercantile site is one of the first addresses of the start of Cleveland Hill Road, which leads to the president’s second home. As an homage to connect the history of Tamworth and the rebirth of integrity in aged spirits in the United States, Tamworth Distilling set out to mature apple brandy (another regionally historic spirit) under the careful guidelines of the Bottled in Bond Act of 1897 which was initiated to reform 1800’s distillers from using unscrupulous tactics of falsifying quality of rye whiskey, bourbon and apple brandy by offering an industry standard. 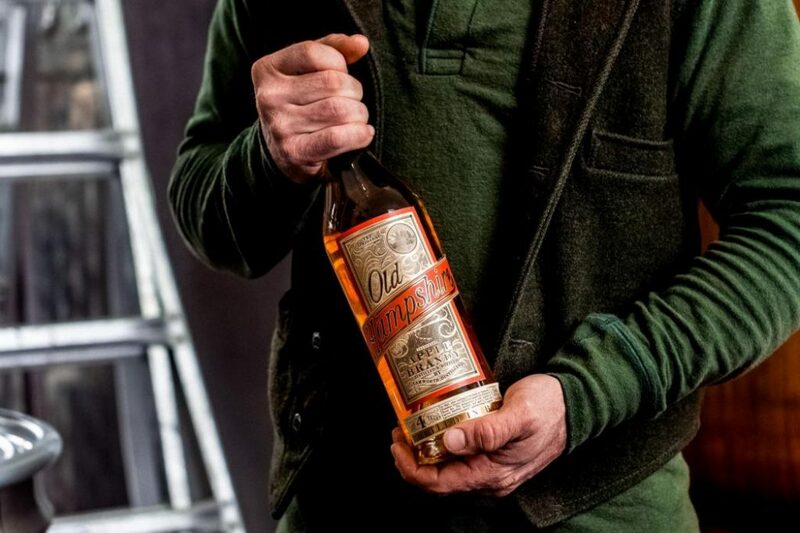 Under the act – “Bottled In Bond” criteria deems that liquid must be from one distiller, in one distilling season, and matured in oak barrels under U.S. government supervision for at least 4 years and left at no lower than 50% ABV. This level of transparency and traceability still proves to this day to be upheld by few. To undergo this task, we employed simple and flavorful distillation techniques to ensure the barrels were packed with flavor for the 4 year journey. Apples were sourced from Carter Hill Apple Orchard, one of the oldest active orchards in the United States. The result is a caramel colored spirit that begins with a custard richness on the nose and a full bodied nature with hints of rosy stewed apples and tobacco smoke. To reserve your bottle click here or call Tamworth Distilling. Please note that no digital reservations are confirmed until credit card information has been processed via phone.